*Various spellings. 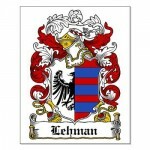 Probably related to Magdalena Leman, the wife of Hannes “Indian John” Miller, from the Krause/Christian Miller ancestor. +The death certificate of this Sarah indicates her parents were Jacob & Lydia Wissinger Miller. No information is available on them. Link to Christian L. Miller (1813-1891) and wife Mary, no apparent connection to our Joseph “Yost” Miller, is very uncertain. This Christian L. is a descendant of the original Christian Miller (c.1700) born in Bavaria. Research is ongoing. #Susannah Musser (1785-1818) is an ancestor of the southern Somerset County Anabaptists who produced our Krause family.